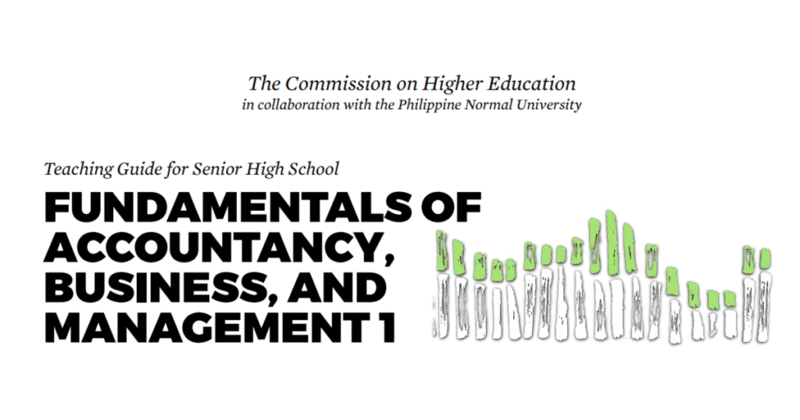 This is an introductory course in accounting, business, and management data analysis that will develop students’ appreciation of accounting as a language of business and an understanding of basic accounting concepts and principles that will help them analyze business transactions. As Higher Education Institutions (HEIs) welcome the graduates of the Senior High School program, it is of paramount importance to align Functional Skills set by DepEd with the College Readiness Standards stated by CHED. The DepEd articulated a set of 21st century skills that should be embedded in the SHS curriculum across various subjects and tracks. These skills are desired outcomes that K to 12 graduates should possess in order to proceed to either higher education, employment, entrepreneurship, or middle-level skills development. On the other hand, the Commission declared the College Readiness Standards that consist of the combination of knowledge, skills, and reflective thinking necessary to participate and succeed – without remediation – in entry-level undergraduate courses in college. The alignment of both standards, shown below, is also presented in this Teaching Guide – prepares Senior High School graduates to the revised college curriculum which will initially be implemented by AY 2018-2019.